Meet UW Sustainability's mascot, Sqwatch! He's a sasquatch with a passion for purple-and-gold and a love of the environment. 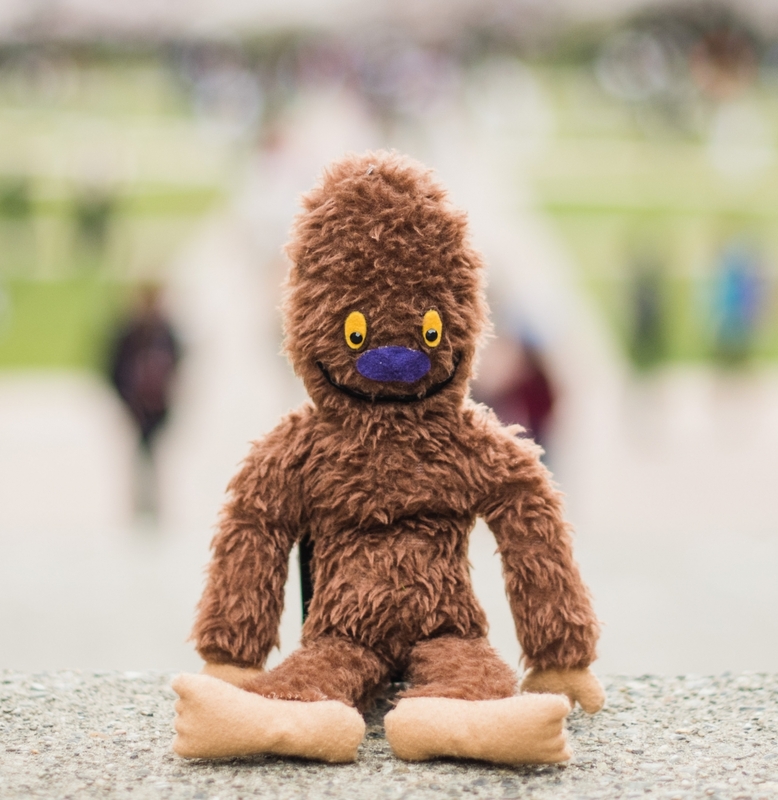 As a sasquatch, Sqwatch knows how to leave a light footprint on the environment and he's eager to help the UW community do the same. You might see him at events or hanging out around campus. The best place to look is our Instagram feed. Join sqwatch in leaving no trace. Sqwatch will be providing sustainability tips on our blog and will likely be showing up around our website and other social media channels. Keep your eyes peeled - it's not always easy to spot a sasquatch! Thanks to Rachel Jackson of Vox Fabuli Puppets for helping us bring Sqwatch to campus.